Because dry skin is a serious problem. Everyone from Leo DiCaprio to Pope Francis has campaigned for climate change awareness—and it’s easy to see why. Climate change causes major temperature shifts in the planet, which in turn leads to phenomena like El Niño. 1. How will you know if you have Xerosis? 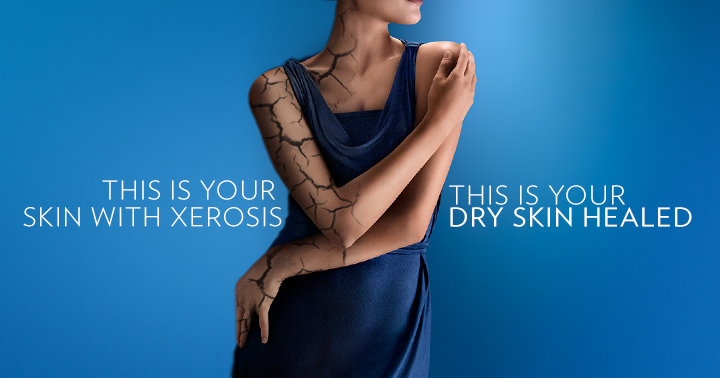 Skin that feels dry, itchy, and scaly, especially on the arm and leg areas, is a clear indicator of Xerosis. To check if you have dry skin, gently scratch your arm and if white marks appear, your skin is most likely dry. You can also check your elbows, knees, and heels for any signs of dryness as these are areas where Xerosis is more commonly evident. Xerosis is more common during hot summers, since the skin is more exposed to UV light, which increases the rate of evaporation of water from the skin. You can easily get dry skin when you take showers and hot baths that are too long, stay in an air conditioned room for an extended period of time, use harsh bath soaps, overdo body scrubbing, get too much sun exposure, and lack water intake. 3. What can Xerosis lead to? Xerosis can lead to early skin aging, as it affects the skin’s ability to maintain adequate hydration. 4. How can you heal dry skin? Moisturize! Ensure that your skin is hydrated at all times and use a moisturizing lotion with petroleum jelly directly following a bath or shower. Maintaining an adequate skin care routine of cleansing and moisturizing will help the body when it comes to hydration.